It is raining Avare Kai in Bangalore! Pardon us for not providing the correct English name for Avare Kai. We tried net searching and found various names including field beans, lilva beans, hyacinth beans, navy beans and so on, but they seem to be used interchangeably with a number of varieties of beans! 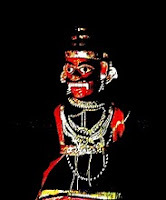 Avare Kai is called Mochai Kai in Tamil. The pods are removed, and the beans that are used in cooking are called Avare Kaalu or Mochai Kottai. Most of us - Avare Kai Foodies - are eating, breathing and living Avare kai during this season. 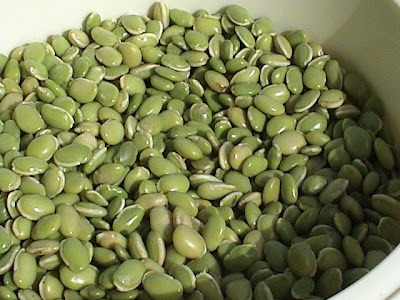 The flavoursome bean is grown around Bengalooru, and is ingrained in the food culture of Kannadigas since time unknown. As per legend, during his hunting expedition, a tired and hungry king was welcomed and served a meal of boiled beans by a poor old lady. Touched by the lady’s hospitality, the happy and contented king named the place after the delicious boiled beans as Benda-kaal-ooru literally meaning city of boiled beans. The present name of the metro city Bengalooru is believed to be the derivative of the above name. It was anglicized by the British to Bangalore, and has now again reverted to Bengalooru! Whether this is the real story of Bengalooru got its name is uncertain. Here is an interesting write up with other stories as well! The yearly Avare Bele Mela, has commenced with all its star studded pomp and festivity. The entire venue at Bangalore's Sajjan Rao Circle, looks fresh and green, and the atmosphere is filled with the unique aroma of the beans. Sri Vasavi Condiments, is the shop which hosts the mela and offers hoards of huge varieties of eatables, sweet and savoury, prepared from avare kai. A true Avare Kai buff never chooses, but grabs all the varieties offered and craves for more! Mother-in-law was a real Avare Kai fan and she would buy sacks full of them during her marketing stints. 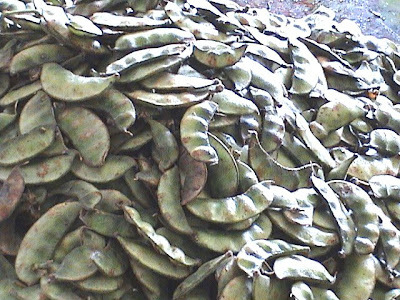 The old Kariappa after tending to the cows, would sit down with a mountain of Avare Kais in front of him, to remove the beans from the pods. We used the cooked beans in dosas, idlies, uppittus, rottis, sambars and usilis. 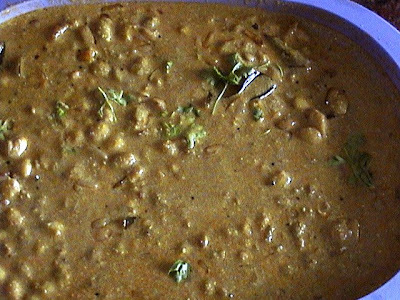 Hituku Bele, literally meaning squeezed beans, is used to make a special dal. Avare Kaalu are soaked for about 6 to 10 hours, and then , each bean is squeezed out of its thin membraneous skin, one by one! Although it was a time consuming task, it was worth the wait for the delicacy prepared by my mother-in-law with great expertise. Now a days we get Hituku bele or already squeezed beans in the horticultural societies. The fun of running behind and picking up the naughty lentils that leaped far, when squeezed out of their jackets is totally lost! The Kurma below does not need Hituku bele, and can be made with just the Avare Kaalu. I will be sharing the recipe of Hituku bele dal as we make it in the next post! Finely chopped tomatoes – optional for garnishing. METHOD:1. Boil avarekai until tender and keep aside. 3. When it splutters add Bengal gram dal and fry till golden in colour. 4. Add cashew nuts and roast till golden in colour. 5. Add the chopped onion and curry leaves and cook till the onion is glassy. .
6. Now add the ground kurma masala paste and fry it, until the oil separates out. 7. Add the cooked beans, a cup of water and salt and cook. 8. Blend in the curd and cook for a few more minutes. 9. Garnish with fresh coriander and finely chopped tomatoes. Enjoy the hot kurma with poories, chapaties or ghee rice! My children loved to carry ghee rice and Avarekai Kurma to the Drive-in theater, and relished it as they watched the Hindi masala movies on the large screen. If it was Friday evening, then Drive-in was the favorite outing, as the movies changed every Friday! If it was Drive in it, then we had to carry Avarekaalu Kurma and ghee rice. This habit had become a family "ritual" for almost a decade, until Drive-in was shut down to make way for a large Shopping Mall! LG - What fun!! S'pore customs dont object is it? I know the aussie customs will simply freak out if we carried anything remotely food into the country! Whats December-January season without the sight and smells of avarekaalu ! In the agrahara market of Mysore, saw old vendor women in colourful dharwad sarees patiently splitting the pods and making little paav-measure mounds of glistening green kaalu on their jute mats. So colourful ! And a real delightful show of "Rajini Style" when they popped the occassional bean into their mouths, expertly tossed up from floor level ! you know what,in malay that call "petai"..nice post. p/s : shall we do some link exchange between our blog? anchor text : kitchen aid part. I have put your link in my blog. Wonderful post with lot of information. I don't think i have ever had this. Cury looks so yummy delicous. YUMMO! Avarekalu and kurma with it?! You are killing me!!! Have a fun weekend. Hugs. nice post, I am from mysore and I know exactly how it is during avarekayi season. Kurma looks good, miss them so much here in US. Avare kaalu kurma looks nice...remember fresh avarekaalu in my hometown and my amma's recipes. I tasted the dry bean of Mochai but heard a lot from my husb ! Kurma looks absolutely delicious! never had kurma with averakkai before. nice recipe. This looks like surti papdi- I love its flavor. I can understand why you are an Avare Kal foodie. The kurma looks and sounds delicious, Dibs. I hogged on this once and suffered from gas and acidity the whole day - never had again!! But it is tasty and I still love it:) Looks delicious, Dibs!! Thanks to all of you for sharing the avare enthusiasm! Vaishali - yes I believe it is Surti Papdi! Sunshinemom - Lol! Hogging anything produces such results, and all the more with some of these legumes!! I didn't know how to recognize Avare Kaalu, so I substituted it with whole peanuts and the kurma came out fantastic, if a bit heavy thanks to the heaviness of peanuts. 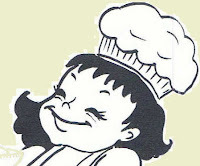 Love your recipes and your blog! I live in Sydney, Australia (not Canada)and bought some frozen avarekai from the Indian store. I just made this recipe and it tastes great! I'm from Bangalore but my origins are from Mangalore, we don't make this traditionally but I have eaten plenty of averakai in my friends' houses in Bangalore!! Yum yum yum...thank you!